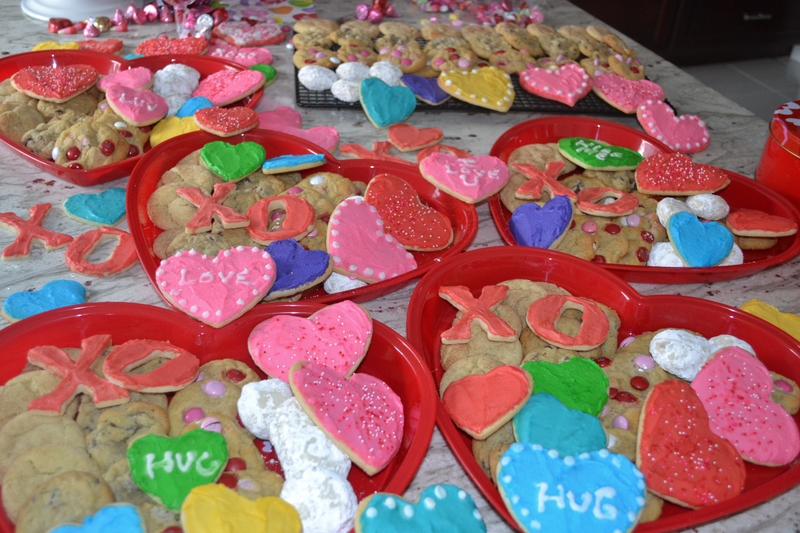 I LOVE to make decorated sugar cookies for my grandchildren. 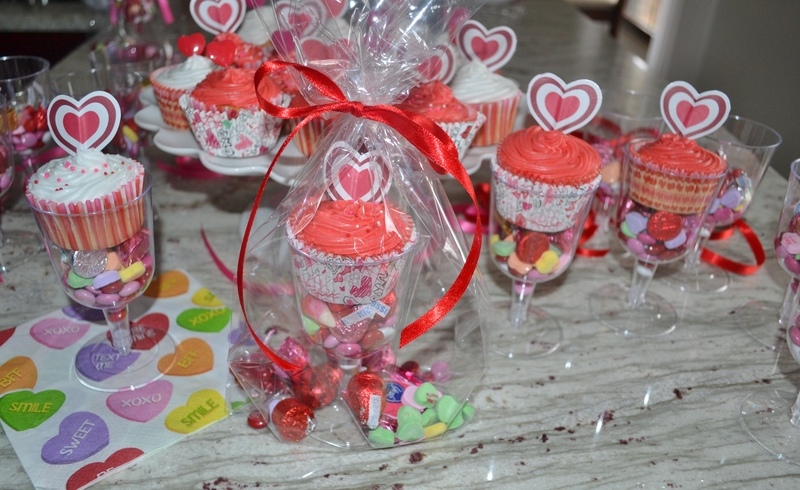 My kitchen has been a busy place baking cookies and making these cute little candy treat bags. 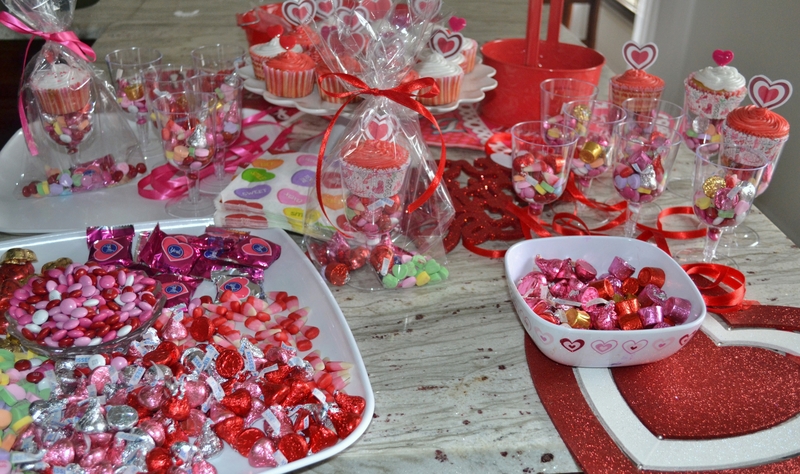 The candies and cupcakes are lined up for the task. I mail a box to my grandsons in Colorado and North Carolina. I add some Valentine window clings and it is a fun, inexpensive treat from grandma and grandpa. The other children live nearby. Fix a little treat bag of cookies and deliver to a co-worker, a neighbor, the mailman, or any special person in your life.